Tour De Yoop is a multi-part series of contributions from skiers and snowboarders in Michigan’s Upper Peninsula and reflecting on their adventures during the 2018 season. 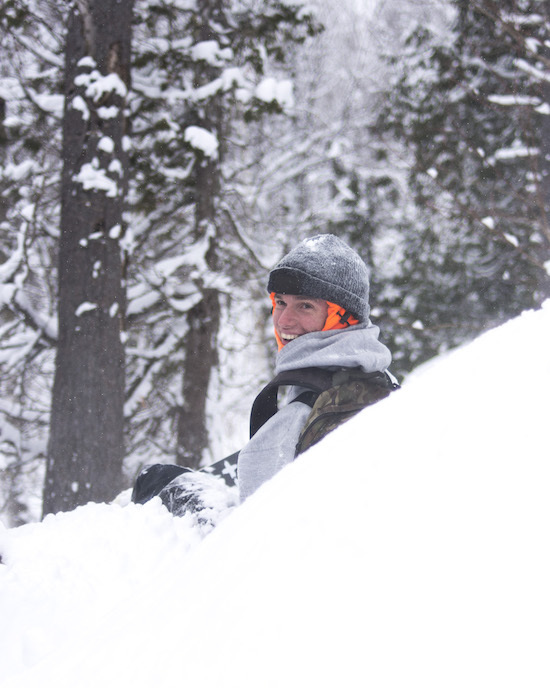 Our first part takes contributor Collin Rehm and crew on a tour into the Keweenaw backcountry. My alarm sounds, it’s 7am and a huge snowstorm just rolled through the Upper Peninsula. Marquette County was right in the cross hairs, and as I look outside, I already know that I’ll have the email. I check my phone, sure enough, ‘Northern Michigan University will be closed today due to inclement weather’. Perfect. I feel my tiredness fade, and excitement quickly rushes in to replace it. 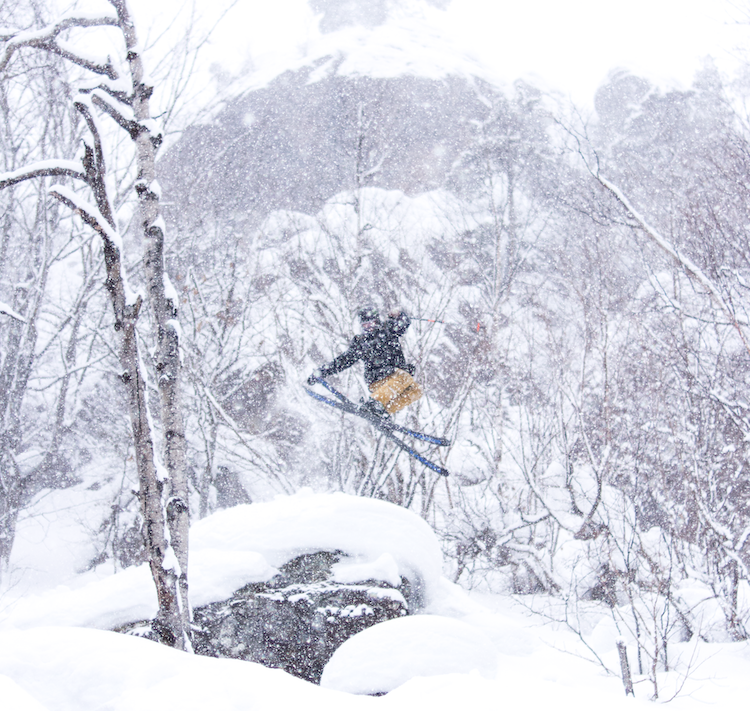 ‘Inclement weather’ is code for ‘really good skiing’. I quickly get out of bed and start getting ready. If only it was this easy to get up and ready for class! Gear is gathered, breakfast is cooked, and friends assemble. Today is going to be a powder day. After a 10 minute drive from town, my trusty (or is that rusty?) Subaru rolls into the parking lot, and easily plows through the 8 inches of fresh dry powder. There hasn’t been anybody else here yet. We quickly gear up, cross the highway, and begin touring uphill through the fresh snow. The Marquette area has a huge variety of great terrain to choose from, all within an hour’s drive of town. 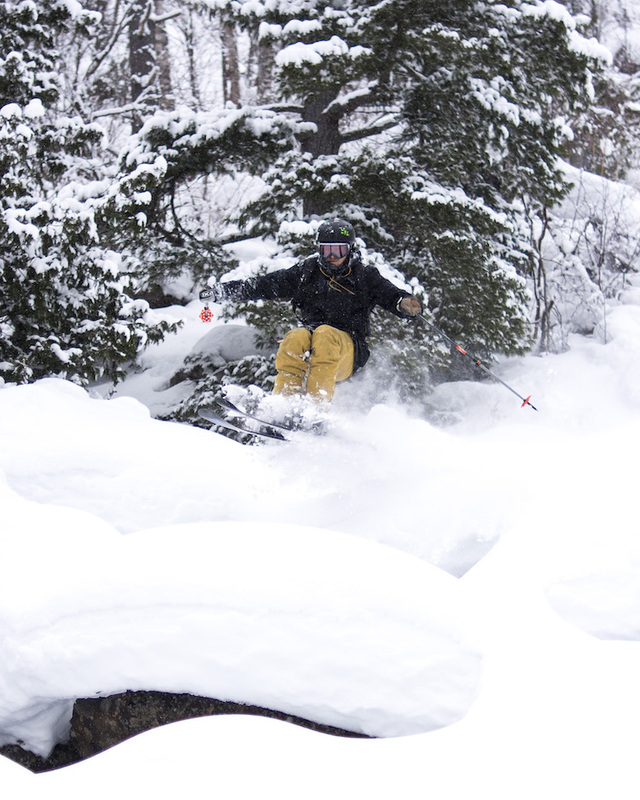 Whether you like cliffs, pillow lines, low angle powder fields, or steep glade skiing, the Hurons have something to offer for every ability level. 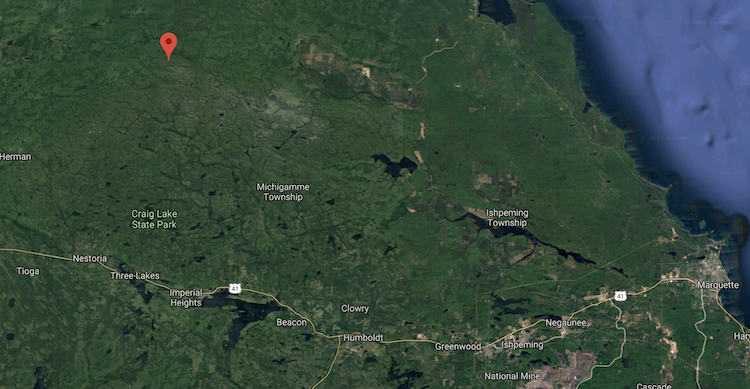 A line following US 41 roughly delineates the boundaries of the Huron Mountains, which generally lie to the North. This vast wilderness region receives 200”+ of snowfall a year (much more in some places). Areas further away from the lake and higher in elevation receive much more snow than those close to the lake. Usually areas in the Huron Mountains will get double whatever snow we get in Marquette, and usually have a skiable snowpack well into April. The sheer size of this region means that seeing any other skiers in the winter is very unlikely. I’ve seen more wolf tracks than unfamiliar skin tracks skiing here! The best way to ski this area is to load up your vehicle (snow tires and clearance required) grab a couple friends, a compass, and a topo map. Start touring wherever the lines look promising, you never know exactly what you’re going to find! As we reach the top of our zone for today we all quickly begin scoping lines through the spaced out hardwoods. We are on top of a ridge that runs roughly East-West and has about 300’ of sustained fall line skiing. As expected, the strong north winds from the night before had filled in the south facing side of the ridge nicely. The new snow is on top of a solid base covering almost all of the rocks and stumps that litter the Hurons. 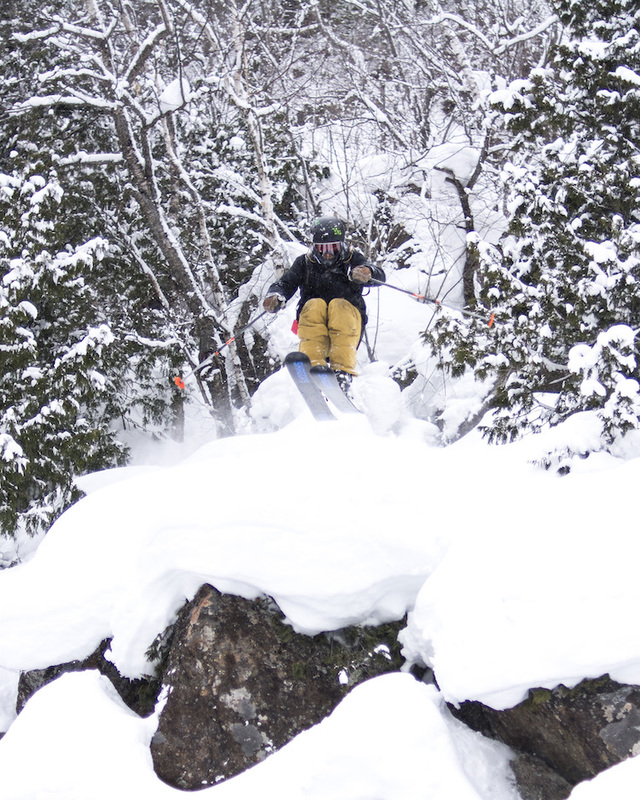 Small cliff bands and pillows are scattered throughout the face leading to lots of fun small airs through the trees. We quickly take our skins off, and take some great, fresh turns towards the river running below. As we reach the bottom skins quickly come back out and within 15 minutes we are back at the top for another untracked line down. We continue for another 7 laps before we are out of time (unfortunately businesses in the UP don’t close due to ‘inclement weather’). We leave 45 minutes before my shift and I have plenty of time to shower, get lunch, and make it to work with 5 minutes to spare. Ski touring in Michigan offers a rewarding change of pace compared to riding the same lifts over and over again. The snow is plentiful, the terrain is easily accessible (there are dozens of spots within a 15 minute drive of Marquette), and nothing beats being out in the woods with good friends on a powder day. We may not have the tallest mountains, or the most spectacular terrain, but we do have what is most important, good times on the hill! For now it’s back to classes and work, but come next ‘inclement weather’ event, I’ll be skiing powder somewhere in the Upper Peninsula! Interested in sharing your adventure with us? Hit that contact form and send us some info and let’s collaborate!